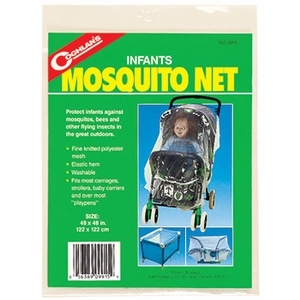 Protects infants against mosquitoes, bees, and other flying insects in the great outdoors! Fine knitted polyester mesh. Elastic hem. Fits most carriages, strollers, baby carriers and over most "playpens". Size: 48 x 48 in.